Howdy All and Happy Friday! In the very near future, my gaming group will be returning to an old Iron Kingdoms RPG campaign featuring the fine folks in this week’s Casting Call entry. As you can likely tell, these characters don’t look like starting Iron Kingdoms RPG character, because they have seen roughly a year and a half of play. So, without further ado, I hope you enjoy meeting the Silver Swords! NOTES: Discharging both barrels together is treated as a single attack, and the weapon suffers -2 on the attack roll. If the attack hits, add +3 to the damage roll. Reloading each barrel takes one quick action. NOTES: Spend 1 feat point to make trip attack. If attack hits, target is knocked down. On critical hit, a living target hit has a chance to be knocked out. If target suffers damage, he must make a Willpower roll against TN 13. If he fails, he is knocked out. Additional Study: Decklin learns the Force of Faith spell.Combat Caster: When Decklin makes a magic attack roll, he gains an additional die. Discard the lowest die of each roll. Craft Rune Shot: Decklin can craft his own rune shot ammunition. Instead of paying 5 gc for each metal cartridge round of rune shot ammo, he can pay 1 gc and use his rune shot casting kit to press one round of rune shot ammo. Decklin can craft up to five per hour. Dual Shot: Decklin can forfeit his movement during his turn to make one additional ranged attack with a pistol or rifle. Empower: During Decklin’s turn, while he is base to base with a non-incapacitated friendly character, he can spend 1 feat point to cause the friendly character to regain d3+1 vitality points. Fast Reload: Decklin gains one extra quick action each turn that can be used only to reload a ranged weapon. Feat: Quick Cast: Decklin can spend 1 feat point to immediately cast one upkeep spell at the start of combat before the first round. When casting a spell as a result of this benefit, Decklin is not required to pay the COST of the spell. Feat: Strength of Will: After failing a fatigue roll, Decklin can spend 1 feat point to instead be automatically successful on the roll. Gun Fighter: Decklin does not suffer a -4 penalty on ranged attack rolls with pistols or carbines while engaged. Rallying Cry: Decklin can spend a feat point to use Rallying Cry. For one round, Decklin’s command range is doubled and friendly characters in his command range, including Decklin, become fearless. Warding Circle: Decklin can spend 15 minutes to create a circle around a small room or campsite. Whenever any other characters (other than those named) enter the circle, the named characters are alerted. While in the circle, non-named characters lose incorporeal, and non-named undead and infernal characters suffer -2 on attack rolls. Battle staff, Surgical Kit, Symbol of Faith, Belt, Belt Pouch, Work Boots, Clock (Waterproof), Robe, Water Skin, Sewing Kit, Paper, Charcoal – 5 sticks, Paper – 10 sheets, Goggles, Morrowan Lorebook (Enkheridion), Locked Wooden Box, Rune Shot Casting Kit, materials for 10 rune shots, ammunition bandoleer, gun brace, leather shoulder strap and oiled hide cloth. Decklin’s next shot becomes AOE 5 and POW -. While a character is within the AOE he loses Camouflage and stealth, and other characters can ignore cloud effects when determining LOS to him. The AOE lasts one round. Additional Attack: Gorgosh gains an additional attack during his Activation Phase if he chooses to attack that turn.Anatomical Precision: When Gorgosh hits a living target with a melee attack but the damage roll fails to exceed the target’s ARM, the target suffers d3 damage points instead of the damage rolled. Astute: Gorgosh can reroll failed Detection rolls. Each failed roll can be rerolled only once as a result of Astute. 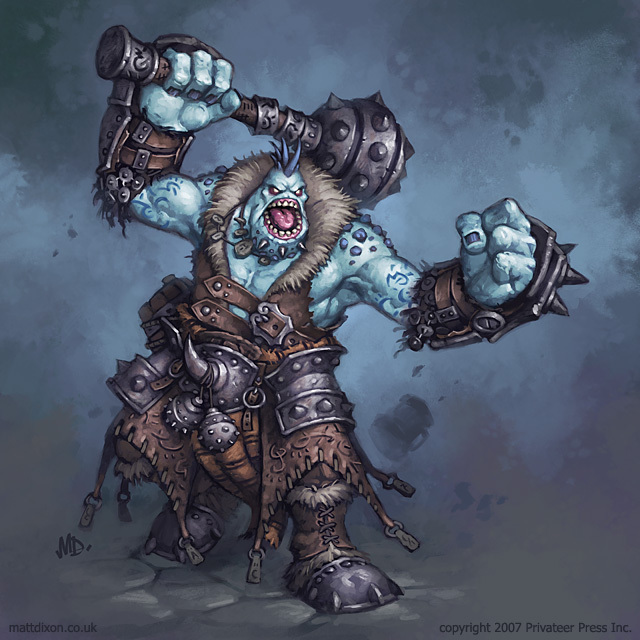 Brawler: When Gorgosh attacks with an improvised weapon he can add his Unarmed Combat skill instead of his Hand Weapon skill to the attack roll. Feat: Disarm: After hitting an enemy with a non-spray, non-AOE ranged or melee attack, instead of making a damage roll, Gorgosh can spend 1 feat point to disarm his opponent, causing the weapon to fly from his grasp, and suffers no damage. Feat: Revitalize: Gorgosh can spend 1 feat point during his turn to regain a number of vitality points equal to his PHY (7) immediately. An incapacitated character cannot use Revitalize. Feat: Swashbuckler: Once during Gorgosh’s turn, he can spend 1 feat point to make his next hand weapon attack extend to 360 degrees and he can make one melee attack against each enemy in his line of sight and melee range. Flying Fists: While fighting unarmed or with a weapon in only one hand Gorgosh gains an additional punch unarmed melee attack with his other hand. Hulking Presence: Gorgosh adds an additional die to Initimidation skill rolls made using his PHY. Hyper Perception: Gorgosh’s PER rolls are boosted. Preternatural Awareness: Gorgosh gains boosted Initiative rolls and enemies never gain back strike bonuses against him. Serpent Strike: Gorgosh’s unarmed strikes have reach. Tough: When Gorgosh is disabled, roll a d6. On a 5 or 6, the character heals 1 vitality point, is no longer disabled, and is knocked down. Virtuoso: Hand Weapon: When making non-AOE attacks with his hand weapon attacks, Gorgosh gains an additional die on his attack and damage rolls and discards the lowest. Virtuoso: Unarmed: When making non-AOE attacks with his unarmed attacks, Gorgosh gains an additional die on his attack and damage rolls and discards the lowest. Waylay: When Gorgosh makes an attack that may knock out a target, increase the target number for Willpower roll to resists the knockout by 2. Custom Battle Armor, Knuckledusters, Greylord Rune Axe, Custom Ogrun Battle Cannon, 135 gc in savings. Combat Caster: When Ladimir makes a magic attack roll, he gains an additional die. Discard the lowest die of each roll.Family Income: Ladimir earns 50 gc a month from his family holdings. 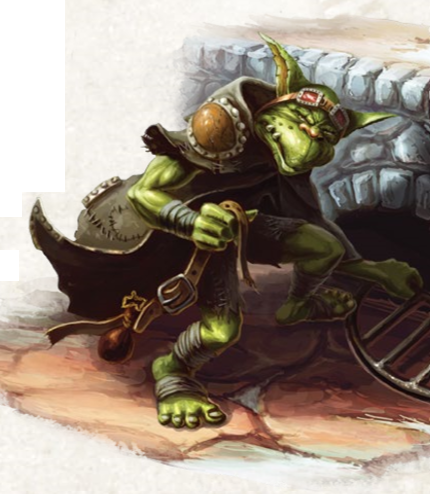 Feat: Strength of Will: After failing a fatigue roll, Ladomir can spend 1 feat point to instead be automatically successful on the roll. Good Breeding: Ladimir can reroll failed Etiquette rolls. Each roll can be rerolled only once as a result of Good Breeding. Great Power: Ladimir can upkeep one spell each turn without spending fatigue. Rune Reader: Ladimir can identify any spell cast in his line of sight by reading the accompanying spell runes. He can also learn the type of magic cast and the tradition of the character casting the spell. Privilege: Ladimir is immune to persecution for petty crimes and can be tried only by a court of his peers. With a successful Etiquette skill roll, Ladimir can demand hospitality and request aid from other nobles not at war with his kingdom. Additionally, Ladimir gains +2 on social rolls when dealing with those beneath his station who recognize his status and respect the nobility. Tailored plate, sword, scope, Greylord Rune Axe, cannon shield, 208 gc of other equipment. 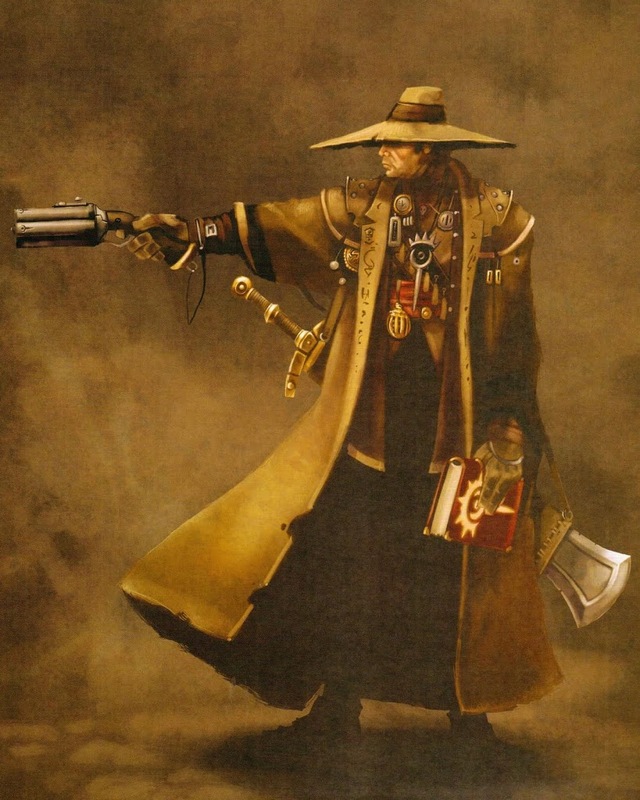 Occupational: Craft (Gunsmith) 3(9), Cryptography 1(7), Deception 2, Disguise 1 (7), Detection 2 (8), Etiquette 2, Intimidation 1, Law 1 (7), Lore (Arcane) 1(7), Lore (Divine Court) 1 (7), Lore (Fine Arts) 1 (7), Lore (History) 1 (7), Medicine 1 (7), Navigation 1 (7), Negotiation 3, Research 1 (7), Sneak 2 (7 or 4 in armor), Streetwise 2(7), Survival 1 (7). Additional Attack: Thale gains an additional attack during his Activation Phase if he chooses to attack that turn.Ambidextrous: Thale does not suffer a penalty with a second weapon when using Two-Weapon Fighting. Cover Identity: Thale’s cover ID of a bounty hunter permits him to make boosted Disguise rolls when disguised as a bounty hunter. Dodger: When Thale is missed by an enemy attack, he can immediately advance 2” (12ft) after the attack is resolved, unless he was missed while advancing. Thale cannot be targeted by free strikes during this movement. Fast Draw: Thale gains +2 to initiative rolls (already included) and gains an additional quick action during his first turn that can only be used to draw a weapon. Fast Reload: Thale gains one extra quick action each turn that can only be used to reload a ranged weapon. 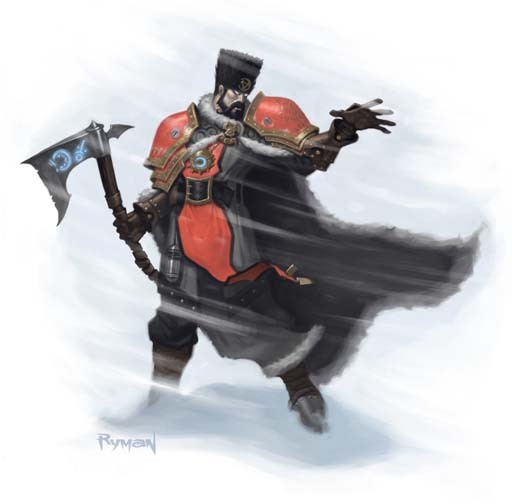 Feat – Disarm: After directly hitting an enemy with a non-spray, non-AOE ranged or melee attack, instead of making a damage roll, Thale can spend 1 feat point to disarm his opponent. Gun Fighter: Thale does not suffer a -4 penalty on ranged attack rolls with pistols or carbines while engaged. Instructor: While within 12 ft of Thale, friendly characters gain an additional die on occupational skill rolls also possessed by Thale. Discard the lowest die in each roll. Preternatural Awareness: Thale gains boosted Initiative rolls and enemies never gain back strike bonuses against him. Return Fire: Once per round, when Thale is missed by an enemy’s ranged attack, immediately after the attack is resolved he can make one normal attack against the attacking enemy. Sniper: When Thale forfeits his movement to aim during his turn, Thale’s first ranged attack that turn gains boosted damage. Targeteer: When Thale hits with a ranged attack, he chooses the branch of the target’s life spiral or the column of the target’s damage grid that is hit, if applicable. Two-Weapon Fighting: While fighting with a one-handed weapon or pistol in each hand, Thale gains an additional attack for the second weapon. He suffers -2 on attack rolls with the second weapon while doing so. University Education: Thale can reroll failed Lore and Research skill rolls. Each roll can be rerolled only once as a result of University Education. Virtuoso – Pistols: When making non-AOE attacks with pistols, Thale gains an additional die on his attack and damage rolls and discards the lowest. NOTES: +2 to back strike damage rolls with this weapon. Occupational: Alchemy 2 (6), Animal Handling 1, Bribery 1, Climbing 1 (6), Craft (Bowyer) 1 (5), Deception 1 (5), Escape Artist 1 (6), Forgery 1 (6/5), Interrogation 1, Intimidation 1, Gambling 1 (5), Lock Picking 2 (7), Lore (Swamp Gobber) 1 (5), Pickpocket 2 (7), Riding 1 (6), Sneak 2 (6 or 3 in armor), Streetwise 2 (6). Additional Attack: Ozzie gains an additional attack during his Activation Phase if he chooses to attack that turn. Ambidextrous: Ozzie does not suffer a penalty with a second weapon when using Two-Weapon Fighting. Appraise: Ozzie can judge the value of most fine goods with an inspection. Truly good fakes might require a Detection + INT roll to spot. Backstab: Ozzie gains an additional die on his back strike damage rolls. Brew Master: Ozzie can reroll failed Alchemy rolls. Each failed roll can be rerolled only once as a result of Brew Master. Conniver: Ozzie can reroll failed Bribery and Deception-based social skill rolls. Each roll can be rerolled only once as a result of Conniver. Deft: Ozzie gains boosted AGL rolls. Dodger: When Ozzie is missed by an enemy attack, he can immediately advance up to 2” after the attack is resolved unless he was missed while advancing. He cannot be targeted by free strikes during this movement. Prowl: Ozzie gains stealth while within terrain that provides concealment, the AOE of a spell that provides concealment, or the AOE of a cloud effect. Specialization (Assassin Blade): Ozzie does not suffer attack roll penalties when attacking with an Assassin Blade. Two-Weapon Fighting: While fighting with a one-handed weapon or pistol in each hand, Ozzie gains an additional attack for the second weapon. He suffers -2 on attack rolls with the second weapon while doing so. Virtuoso – Crossbows: When making non-AOE attacks with Crossbows, Ozzie gains an additional die on his attack and damage rolls and discards the lowest. Virtuoso – Hand Weapons: When making non-AOE attacks with Hand Weapons, Ozzie gains an additional die on his attack and damage rolls and discards the lowest. Riding pony, assassin’s blade, repeating crossbow, 24 bolts, two crossbow magazines, thief’s tools, custom battle armor. A few weeks ago, I got a chance to revisit an older campaign that I had been running prior to the release of Dungeons & Dragons 5th Edition. 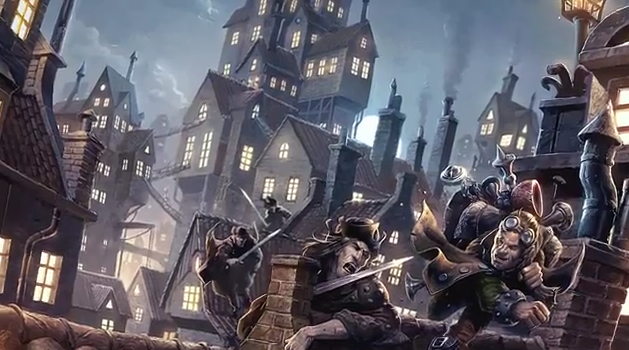 That campaign was known, informally, as the “Blackacre” campaign, named after the Duchy that served as a setting for the game, and we played it using the terrific Iron Kingdoms RPG rules (which was, prior to the release of 5th Edition D&D, my go-to game). Two weeks ago saw the release of the newest expansion for the Iron Kingdoms Roleplaying Game, Iron Kingdoms: Unleashed! Once I got the new IK book in my hands, it sparked a wave of nostalgia for the game, which culminated in a session with my players where we revisited our old characters (before starting our 5th Edition D&D campaign, we had played the Iron Kingdoms RPG for over 2 years). One issue that we found with the IK RPG rules, as written, was the wonky way that income and money worked. The prices in the core book seemed to have been set arbitrarily, which was confirmed for me by one of the designers on the Privateer Press forums, and there was no information as to how much money characters should be earning in the course of their activities. Unfortunately, my IK RPG campaign had the players serving as mercenaries who wanted to get paid, so I needed to come up with some rules that would work with the prices, as written, in the core IK RPG rulebook. The following are the rules I created for use with the IK RPG. As promised, I have finally put some thought into how to deal with the issue of income for the Iron Kingdoms RPG, and this is what I’ve come up with (which, for those who are interested, is largely adopted from the way the GURPS RPG deals with it, with some elements taken from Shadowrun). So, the way your monthly spending cash will be calculated is based on what job you have (which gives you your monthly income) and what Status you are living (which gives you your monthly cost of living). At the end of each month, you will make a job skill roll, which will determine how that month’s income went (whether you earned more, on a successful check, or whether you fucked up royal, on a critical failure). The following table summarizes what the monthly income for some sample jobs, along with the relevant skills used and the penalty for a critical failure on your job roll. Inventor 20 x Skill Ranks gold TN 12 Alchemy, Craft (Gunsmithing or Metalworking), or Mechanikal Engineering No income and roll on Injury Table (pg. 217 of Core Book). Titled Nobility 600 gold plus 100 gold from property TN 13 Etiquette Property income reduces by 10 gold per month. When you make your monthly skill roll, compare the result to the contested Negotiations table on pg. 118 of the Core Book, looking at the Contract Offer column to determine how much you earn per month, if you are successful. If you fail, compare it to the Purchase Price column. For example, if you are playing a character working as a Merchant Ship Captain, and you roll a 16 on your monthly Negotiation check, 3 more than the TN of 13, you would earn 126 gold for that month. However, if you rolled a 10 for your check the following month, 3 less than the TN, you would only earn 144 gold that month. The following table summarizes the various Status ranks, what they cost per month, and what you get with each. -2 Known criminal, prostitute, beggar, vagrant. Live on the streets, eking out a living on a day to day basis. Live in very meagre quarters provided by employer or in low income flophouse. Either owns a humble residence or rents an apartment for his/her family. 1 Rural gentleman, lawyer, merchant, master craftsman, priest. Owns his/her own property with a few servants. Enjoys some of the high life, but only on special occasions. 2 Knight, Lawyer, Great Merchant, Senior Priest. Owns his/her own property with some servants or has access to his/her employer’s standard of living. Enjoys more of the high life on a regular basis. 3 Landed Lords, Ranking Church Officials. Owns several properties with many servants. Very well acquainted with the high life (though likely unfamiliar with the way most people live). So, to calculate your actual income (and what you have access to for spending money each month), you take your monthly income and subtract the cost of living from your applicable Status. For example, if you’re a status 0 mercenary working as an Infantryman, you would normally subtract the 60 gold cost of living from your monthly income of 40 gold leaving a net of…negative 20 gold? That may not seem to make sense, but there is a explanation. For some jobs, such as Infantryman, you get your room and board (and, often, an ammunition and coal allowance), meaning that you don’t need to pay for your status while you’re working in those jobs, allowing you to save up your money while you are working. However, once you leave that job, you quickly find yourself unable to pay for the standard of living (the Status) that you have grown accustomed to, which often means you need to go back to work in no time at all. As an example, let’s say that our friend Andrei Stoyanovich, a Status 0 soldier, accepts a mercenary contract as a Cavalryman for six months. Assuming he spends none of his money for the duration of the contract, Andrei would earn 240 gold for the six month stretch and not have to pay for his monthly status cost of living. However, once the contract ended, Andrei would have to start paying his standard of living cost again, at 60 gold per month for Status 0, meaning if he did not spend that saved money on anything else, he could only last for four months before being flat broke. So, what happens if you do not pay your standard of living for one month? Good question. For each month that you do not make your monthly payment, you need to roll one die. If you roll higher than the number of months you have missed, nothing happens (your savings, etc… are assumed to handle the costs of living from that month). However, if you roll equal to, or lower than, the number of missed months, your status drops by one permanently. You may ask, what happens when you his -2 Status and stop making your monthly payments? Well, for each month you do not make a monthly payment of 10 gold, you roll one die. If you roll higher than the number of months you have missed, nothing happens. However, if you roll equal to, or lower than, the number of missed months, you make a roll on the Injury Table (pg. 217 of the Core Book) and the count of unpaid month restarts at zero. Fortunately, the Iron Kingdoms have room for the upwardly mobile. If you decide that you want to buy up one rank of Status, you need only pay a one-time fee equal to 100 times the monthly cost of living (so, to move up from Status 0 to Status 1, it would cost your character 12,000 gold). TIME TO EARN THAT MONEY, SOLDIER! For those of you who run or play an Iron Kingdoms game, I hope these rules help fill a hole that we found in the rules as written.